When it comes to cleaning fine optics in the field, just reach for your Nikon Lens Pen and finish the job in seconds! It's that simple: uncap, polish, recap, extend brush and brush off...done! 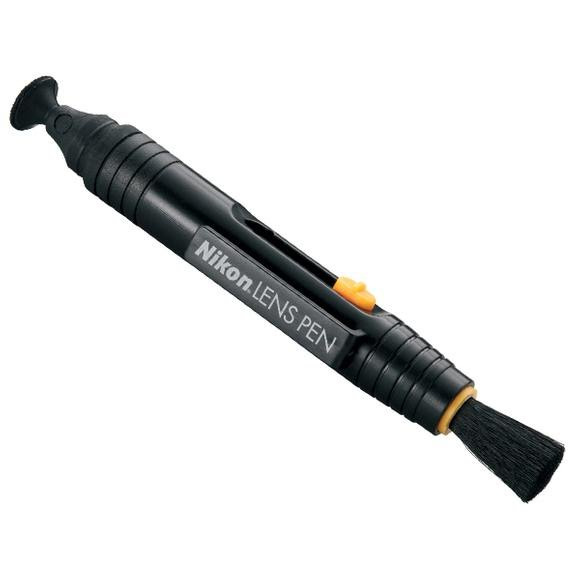 When it comes to cleaning fine optics in the field, just reach for your Nikon Lens Pen and finish the job in seconds! It&apos;s that simple: uncap, polish, recap, extend brush and brush off...done! Chamois cleaning tip that automatically replenishes itself with non-liquid cleaning compound. Fully retractable brush sweeps away dust and brush.